Welcome to Sheltered Early Access! Your feedback so far is already driving changes in the game. We’re working to address the bugs and problems you’re raising in our Report a Problem forum and we’re eagerly reading all of your gameplay and balancing feedback in General Discussion. Keep posting, we love it, we want more. 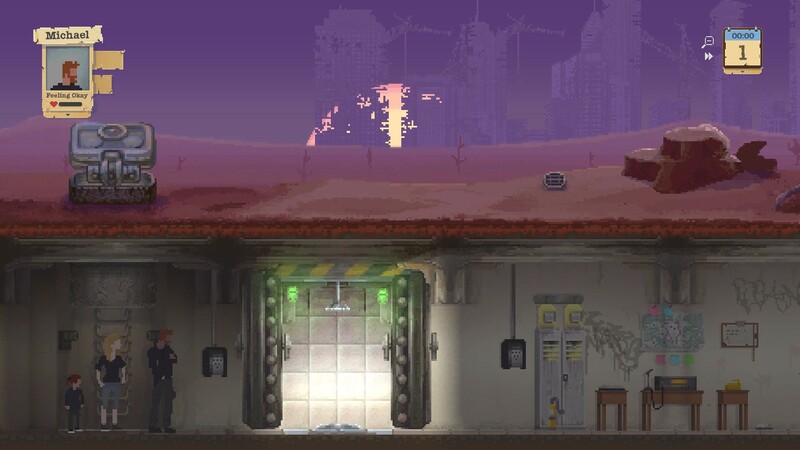 Today, the first game update for Sheltered will be knocking on your rad doors. It’s a small, but important, fix we’ve implemented after you reported that catatonic family members were stealing the bunker’s entire inventory before death. After the update, catatonic family members who die will no longer take everything with them into the afterlife. We’ve much more to come! Stay tuned for regular updates here on Steam, Twitter and over on the Unicube.net forums for the Xbox One version of the game. P.S – Some of our favourite YouTube people are making amazing videos about the game. Check out Jim Sterling’s first look, or this video series from Paul Soares Jr, next time you need to go toilet-bucket.